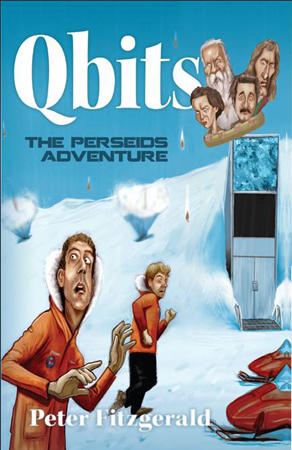 The Qbits think they are the world’s greatest ever scientists, and they are back to save the planet! Satellites are colliding and now they have been recruited by NASA as there is a meteor storm heading to Svalbard, home to the Doomsday vault. Lost to the world Cern re-creating first web page ! Yes they invented the web...see first web page !! 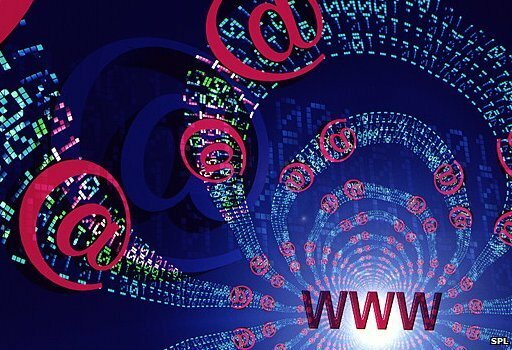 A team at the European Organisation for Nuclear Research (Cern) has launched a project to re-create the first web page. The aim is to preserve the original hardware and software associated with the birth of the web. The world wide web was developed by Prof Sir Tim Berners-Lee while working at Cern. The initiative coincides with the 20th anniversary of the research centre giving the web to the world.
" I want my children to be able to understand the significance of this point in time: the web is already so ubiquitous - so, well, normal - that one risks failing to see how fundamentally it has changed"
Dan Noyes Cern web manager According to Dan Noyes, the web manager for Cern's communication group, re-creation of the world's first website will enable future generations to explore, examine and think about how the web is changing modern life. "We are in a unique moment where we can still switch on the first web server and experience it. We want to document and preserve that". The hope is that the restoration of the first web page and web site will serve as a reminder and inspiration of the web's fundamental values. At the heart of the original web is technology to decentralise control and make access to information freely available to all. It is this architecture that seems to imbue those that work with the web with a culture of free expression, a belief in universal access and a tendency toward decentralising information. It is the early technology's innate ability to subvert that makes re-creation of the first website especially interesting. While I was at Cern it was clear in speaking to those involved with the project that it means much more than refurbishing old computers and installing them with early software: it is about enshrining a powerful idea that they believe is gradually changing the world. 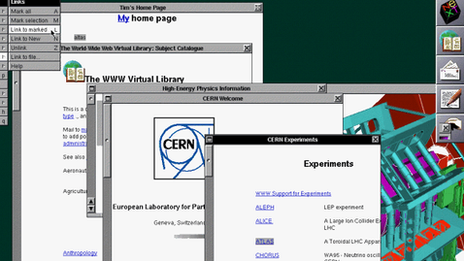 Twenty years ago Prof Sir Tim Berners-Lee asked Cern to give the web to the world free. I went to Sir Tim's old office where he worked at Cern's IT department trying to find new ways to handle the vast amount of data the particle accelerators were producing. I was not allowed in because apparently the present incumbent is fed up with people wanting to go into the office. But waiting outside was someone who worked at Cern as a young researcher at the same time as Sir Tim. James Gillies has since risen to be Cern's head of communications.He is occasionally referred to as the organisation's half-spin doctor, a reference to one of the properties of some sub-atomic particles. Mr Gillies is among those involved in the project. I asked him why he wanted to restore the first website. "One of my dreams is to enable people to see what that early web experience was like," was the reply. "You might have thought that the first browser would be very primitive but it was not. It had graphical capabilities. You could edit into it straightaway. It was an amazing thing. It was a very sophisticated thing." "One of my dreams is to enable people to see what that early web experience was like... It was an amazing thing"
Those not heavily into web technology may be sceptical of the idea that using a 20-year-old machine and software to view text on a web page might be a thrilling experience. But Mr Gillies and Mr Noyes believe that the first web page and web site is worth resurrecting because embedded within the original systems developed by Sir Tim are the principles of universality and universal access that many enthusiasts at the time hoped would eventually make the world a fairer and more equal place. 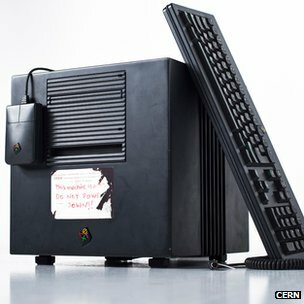 And early on in the world wide web's development, Nicola Pellow, who worked with Sir Tim at Cern on the www project, produced a simple browser to view content that did not require an expensive powerful computer and so made the technology available to anyone with a simple computer. According to Mr Noyes, many of the values that went into that original vision have now been eroded. His aim, he says, is to "go back in time and somehow preserve that experience". "This universal access of information and flexibility of delivery is something that we are struggling to re-create and deal with now. "Present-day browsers offer gorgeous experiences but when we go back and look at the early browsers I think we have lost some of the features that Tim Berners-Lee had in mind." Mr Noyes is reaching out to ask those who were involved in the NeXT computers used by Sir Tim for advice on how to restore the original machines. The machines were the most advanced of their time. Sir Tim used two of them to construct the web. One of them is on show in an out-of-the-way cabinet outside Mr Noyes's office. I told him that as I approached the sleek black machine I felt drawn towards it and compelled to pause, reflect and admire in awe. "So just imagine the reaction of passers-by if it was possible to bring the machine back to life," he responded, with a twinkle in his eye. The initiative coincides with the 20th anniversary of Cern giving the web away to the world free. "Keeping the web free and freely available is almost a human right"
There was a serious discussion by Cern's management in 1993 about whether the organisation should remain the home of the web or whether it should focus on its core mission of basic research in physics. Sir Tim and his colleagues on the project argued that Cern should not claim ownership of the web. Management agreed and signed a legal document that made the web publicly available in such a way that no one could claim ownership of it and that would ensure it was a free and open standard for everyone to use. Mr Gillies believes that the document is "the single most valuable document in the history of the world wide web". He says: "Without it you would have had web-like things but they would have belonged to Microsoft or Apple or Vodafone or whoever else. You would not have a single open standard for everyone." The web has not brought about the degree of social change some had envisaged 20 years ago. Most web sites, including this one, still tend towards one-way communication. The web space is still dominated by a handful of powerful online companies. But those who study the world wide web, such as Prof Nigel Shadbolt, of Southampton University, believe the principles on which it was built are worth preserving and there is no better monument to them than the first website. "We have to defend the principle of universality and universal access," he told BBC News. "That it does not fall into a special set of standards that certain organisations and corporations control. So keeping the web free and freely available is almost a human right." True: Using a landline phone in a lightning storm is dangerous. When lightning strikes a house, it moves through its network of interconnected cables. Usually, the energy is absorbed, but in the past 25 years, 25 people in the United States were killed by lightning while using a landline. False: Lightning always moves from the sky to the ground. 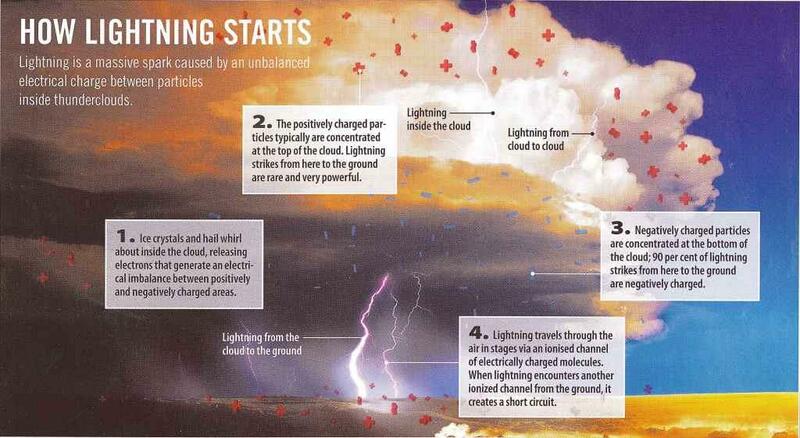 As soon as lightning makes contact with the ground, it generates a return stroke that moves upward. In rare cases, lightning can even start at the top of tall buildings or TV antennas and move up from there. False: Lightning never strikes in the same place twice. Lightning often strikes in the same place multiple times, particularly if the site is a tall, pointed structure such as the Empire State Building, which is struck by lightning around 100 times a year. False: Lightning only strikes when it's rainy or cloudy. Lightning may strike some distance from the storm that generates it. The phenomenon, known as "lightning out of the blue", occurs when lightning that begins at the top of the cloud moves horizontally more than 10km before striking the ground. False: The rubber tires on a car protect it from lightning. A car will protect you from lightning, but not because of its rubber tires – the lightning will be conducted through the car's metal roof and body into the ground leaving the occupants untouched. March 14th (3.14) is day and all around the world mathematicians are celebrating this compelling and mysterious constant of Nature. 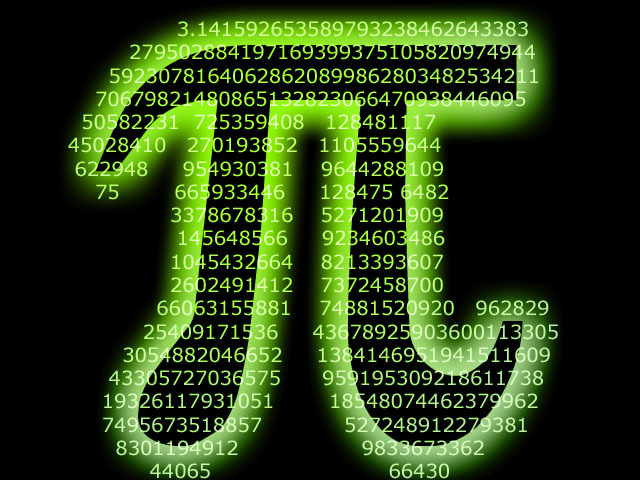 Pi appears in equations describing the orbits of planets, the colors of auroras, the structure of DNA. It's everywhere. 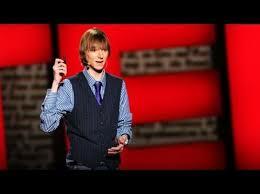 Eighteen-year-old Taylor Wilson has designed a compact nuclear reactor that could one day burn waste from old atomic weapons to power anything from homes and factories to space colonies. The American teen, who gained fame four years ago after designing a fusion reactor he planned to build in the garage of his family's home, shared his latest endeavour at a TED Conference in southern California on Thursday. "It's about bringing something old, fission, into the 21st Century," Wilson said. "I think this has huge potential to change the world." He has designed a small reactor capable of generating 50-100 megawatts of electricity, enough to power as many as 100,000 homes. The reactor can be made assembly-line style and powered by molten radioactive material from nuclear weapons, Wilson said. The relatively small, modular reactor can be shipped sealed with enough fuel to last for 30 years. "You can plop them down anywhere in the world and they work, buried under the ground for security reasons," he said, while detailing his design at TED. "In the Cold War we built up this huge arsenal of nuclear weapons and we don't need them anymore," Wilson said. "It would be great if we could eat them up, and this reactor loves this stuff." His reactors are designed to spin turbines using gas instead of steam, meaning they operate at temperatures lower than those of typical nuclear reactors and don't spew anything if there is a breach. The fuel is in the form of molten salt, and the reactors don't need to be pressurised, according to the teenager. "In the event of an accident, you can just drain the core into a tank under the reactor with neutron absorbers and the reaction stops," Wilson said. "There is no inclination for the fission products to leave this reactor," he said. "In an accident, the reactor may be toast, which is sorry for the power company, but there is no problem." Wilson, who graduated grade school in May, said he is putting off university to focus on a company he created to make Modular Fission Reactors. He sees his competition as nations, particularly China, and the roadblocks ahead as political instead of technical. Wilson planned to have a prototype ready in two years and a product to market in five years. "Not only does it combat climate change, it can bring power to the developing world," Wilson said with teenage optimism. "Imagine having a compact reactor in a rocket designed by those planning to habitat other planets. Not only would you have power for propulsion, but power once you get there." A joint European/US asteroid deflection mission has now officially a target. 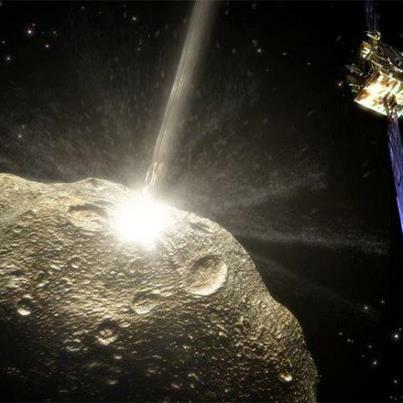 The Asteroid Impact and Deflection Assessment mission (AIDA) will set course for the binary asteroid system Didymos. Didymos is a two-body system consisting of an 800m asteroid orbiting a 150m space rock every 11.9 hours. It will come in at about 11 million kms from Earth in 2022, with no chance of hitting us. However, the AIDA mission will target it anyway. As a double-spacecraft mission, it will first observe the orbital and geological properties of the Didymos system. After that, it will sent a small probe crashing into the smaller asteroid at 22,530kph (the Russian meteor in the Urals "arrived" at 54,000 kph), while another spacecraft will record the collision from close. The smash is planned at that distance from Earth, so that ground-based instruments will be able to provide observations themselves. While the impact will not "blow-up" the asteroid, it will generate a big flash, vaporizing the impact zone and the impactor, and creating a crater. The main goal is to learn more about how humans could deflect a potentially dangerous asteroid, observing the potential change of course of Didymos. The necessity of developing such a strategy came up again after the unsettling events of mid February with two space objects making the news together at the same day. In addition, the European Space Agency (ESA) has released a call for ideas on experiments that AIDA could carry in space, with a deadline on March 15.
it converts electromagnetic fields in the immediate environment into electricity to recharge a common AA battery. 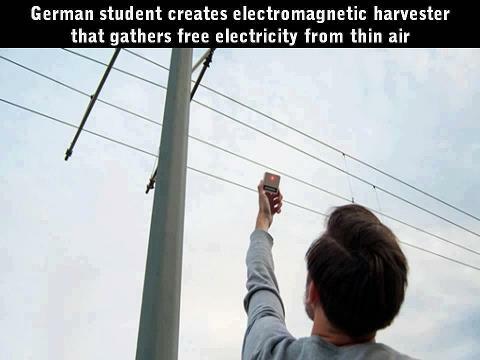 The electromagnetic harvester recharges batteries February 12, 2013 a student at the University of the Arts in Bremen, Germany has built what he calls an electromagnetic harvester !! He's won a 2nd place award in the HfK Bremen Hochschulpreis 2013 competition for Digitale Medien, for his efforts. Electromagnetism is all around us of course. In addition to natural sources, such as lightning, it's also given off by virtually every electronic gadget, device or machine humans make. Siegel (and many others) have noted that the electromagnetism around us all could be converted to electricity and used for some purpose. 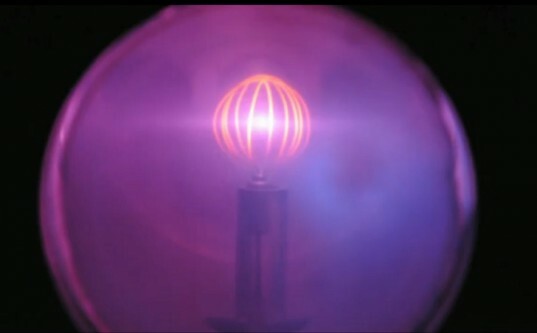 The problem of course, is that the comparatively small amount of it in the air around us isn't enough to make much electricity—the device Siegel built takes up to a day to charge a single AA battery. But that's not reason enough to not build and use a device, as he has demonstrated. He's added electronics to give the device the capability of capturing electromagnetism in two ranges—one below 100Hz (electrical mains, etc.) and another for capturing those above 100Hz (Blue tooth frequencies etc.). On top is a red LED to indicate how strong the electromagnetism is in the area and on the back is a magnet for affixing the device to a metal surface near a good source. Credit: Dennis SiegelThe particulars of the electronics inside his device haven't been detailed (likely to prevent copycats) with a description only of "coils and high frequency diodes" being put to use to allow for the conversion. But that clearly isn't the point of his device. Instead, it highlights not only the fact that we live our lives in a constant state of bombardment of electromagnetism, but also that all of the energy from all of the collective devices in use in the world today, is currently going to waste. But, because of small devices like the one Siegel has built, it becomes possible to envision banks of such devices sitting on roofs (or other places) making use of that electromagnetism to add to the electricity generated by other renewable sources, such as solar or wind collection devices—just another way to demonstrate a higher level of intelligent power generation and conservation. Could Another Russian Scale Meteor Sneak Up on Us? 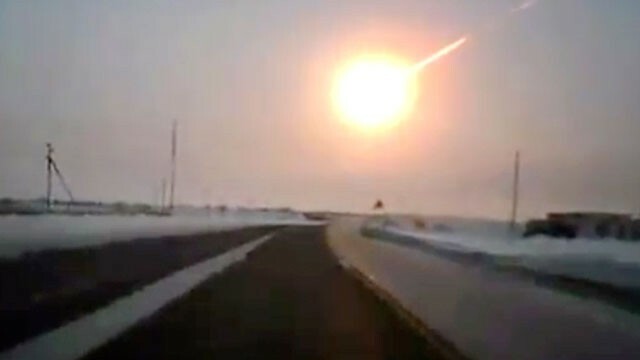 When a 17-meter asteroid barreled into Earth's atmosphere over central Russia on February 15, releasing a powerful shock wave that injured more than 1,000 people, many observers wondered how such a momentous event could arrive unheralded. The fact is, the object that exploded in a fireball over Chelyabinsk, releasing hundreds of kilotons of energy, was small potatoes. There may be millions of comparably sized objects in the inner solar system, only a small fraction of which have been discovered. The searches to date have been focused on tracking much larger dino-killers and other potentially catastrophic asteroids and comets—those objects larger than about one kilometer. So the door has been open to unpleasant but ultimately survivable asteroid surprises. The Catalina Sky Survey discovers about 600 NEAs every year from telescope sites in Arizona and Australia. Since the mid-2000s Catalina has been the leading NEA-detection project in existence, helping NASA to reach its goal of cataloguing 90 percent of all near-Earth asteroids larger than one kilometer in diameter. But its pace of discovery is too slow to make a significant dent in the much larger populations of smaller objects. Near-Earth asteroids larger than 100 meters likely number in the tens of thousands, whereas nearby asteroids 10 meters and up number in the millions. The first of four planned Pan-STARRS telescopes in Hawaii recently came online and is now the second-leading NEA search in existence, in terms of objects detected per year. In 2012, its second full year of operation, Pan-STARRS discovered 251 near-Earth asteroids, according to NASA statistics. It should help discover many asteroids with diameters in the hundreds of meters, but the bulk of smaller objects will remain out of reach. The Large Synoptic Survey Telescope, which should come online toward the end of the decade in Chile, will be a survey telescope of astonishing capability. The 8.4-meter telescope, equipped with a 3-gigapixel digital camera, will scan the skies every few nights to pick up moving objects or transient events. But even the LSST will have trouble picking up asteroids as small as the one that impacted the atmosphere over Russia last week. It will take decades of work (right) before the LSST has catalogued the vast majority of much larger objects—those 140 meters and up—thereby meeting NASA's next asteroid-detection goal. If an asteroid were detected years in advance, the world's governments could take corrective action—detonating, nudging or tugging a hazardous object onto a safer orbit. The Asteroid Terrestrial-Impact Last Alert System (ATLAS) has a much simpler goal: detect asteroids just weeks before impact so as to warn or evacuate the threatened areas. ATLAS, which will comprise several small telescopes in Hawaii, is in development with financial assistance from NASA and may be operational by 2015. Its planners estimate that a 50-meter "city killer" could be detected one week ahead of impact. The nonprofit B612 Foundation recently unveiled its plans to build the Sentinel Space Telescope, an asteroid spotter that would scan the inner solar system in the infrared from an orbit similar to the planet Venus. If the foundation can raise the hundreds of millions of dollars needed to build Sentinel, the spacecraft would launch in 2018 and make quick work of the truly dangerous asteroids out there. The Sentinel mission design calls for a telescope that would catalogue 90 percent of NEAs bigger than 140 meters over its 6.5-year mission. According to a recent statement from B612, the Sentinel would also spot more than half of the currently undiscovered asteroids larger than about 50 meters. With limited resources, asteroid spotters have naturally focused on the largest asteroids that could cause the most mayhem. But the smaller, more frequent arrivals to our planet are likely to remain unpredictable for the foreseeable future. 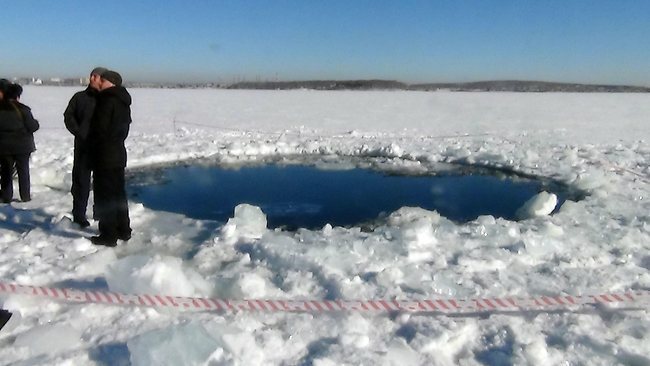 On the bright side, no deaths have been reported as a result of the Chelyabinsk incident, and the odds of the next significant meteor exploding over such a populous area are slim. I share the QED, Quantum Electronic DNA of Galileo Galilei. If he were alive he would be over 450 years young ! I share the QED, Quantum Electronic DNA of that famous guy !! ...If he were alive he would be over 130 years old ! I share the QED, Quantum Electronic DNA of Marie Curie ...If she were alive she would be nearly 150 years young ! I share the QED, Quantum Electronic DNA of Sir Isaac Newton...If he were alive he would over 370 years old ! 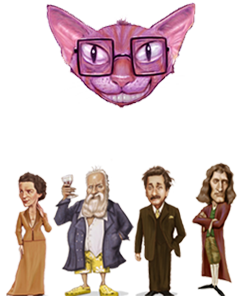 I'm Schrödinger’s cat .... is a famous quantum physics thought experiment: a cat is in a box with poison which might kill it. Quantum laws says as long as you don’t check it, I am both alive and dead simultaneously. I'm Schrödinger's cat .... is a famous quantum physics thought experiment: a cat is in a box with poison which might kill it. Quantum laws says as long as you don't check it, I am both alive and dead simultaneously. Copyright © 2019 Qbits. All Rights Reserved.